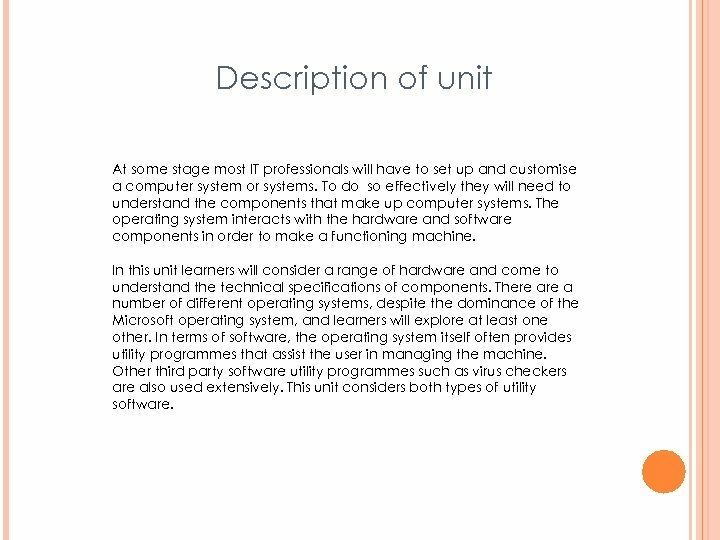 Description of unit At some stage most IT professionals will have to set up and customise a computer system or systems. 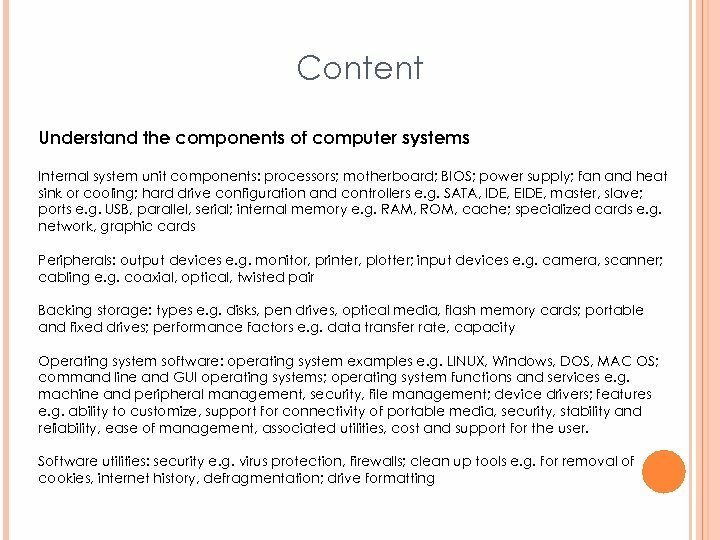 To do so effectively they will need to understand the components that make up computer systems. 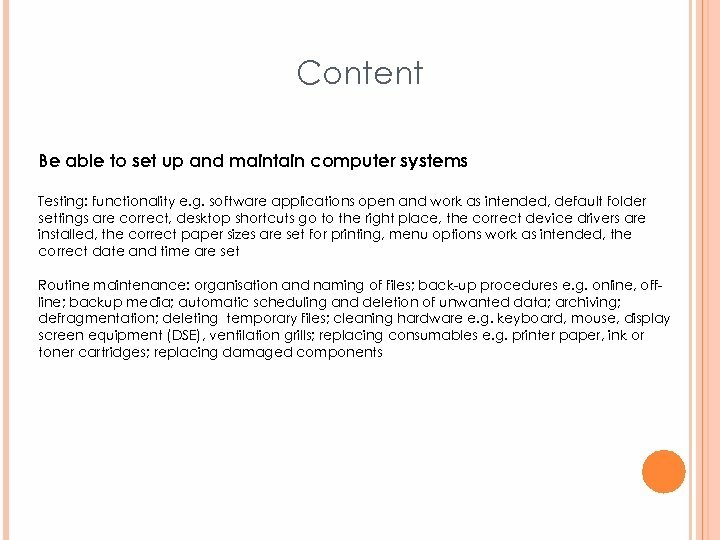 The operating system interacts with the hardware and software components in order to make a functioning machine. 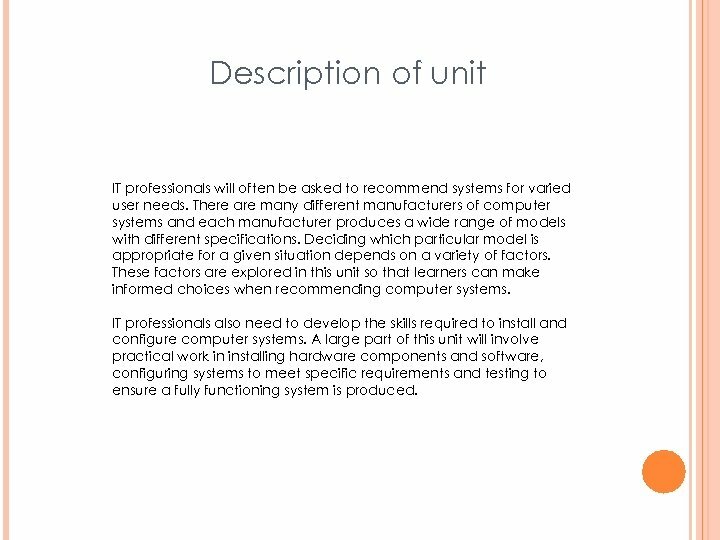 In this unit learners will consider a range of hardware and come to understand the technical specifications of components. 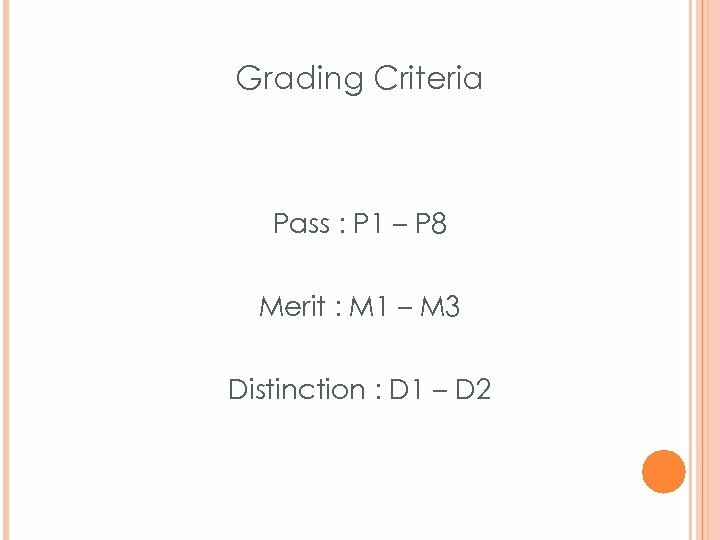 There a number of different operating systems, despite the dominance of the Microsoft operating system, and learners will explore at least one other. In terms of software, the operating system itself often provides utility programmes that assist the user in managing the machine. Other third party software utility programmes such as virus checkers are also used extensively. This unit considers both types of utility software. 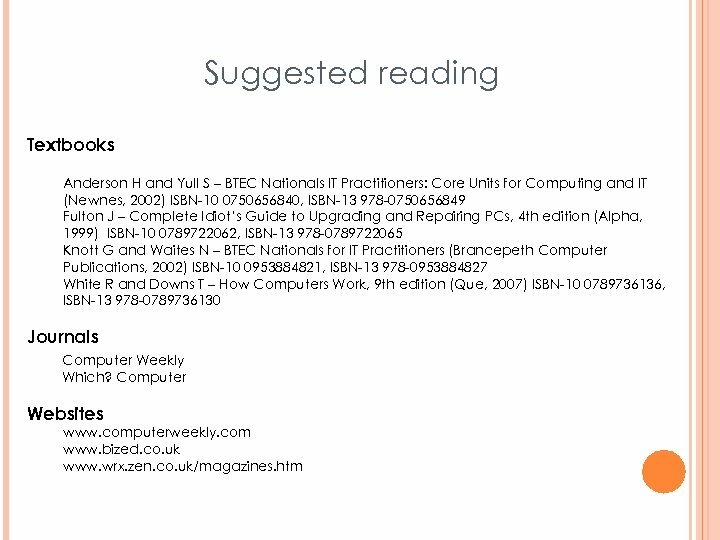 Description of unit IT professionals will often be asked to recommend systems for varied user needs. 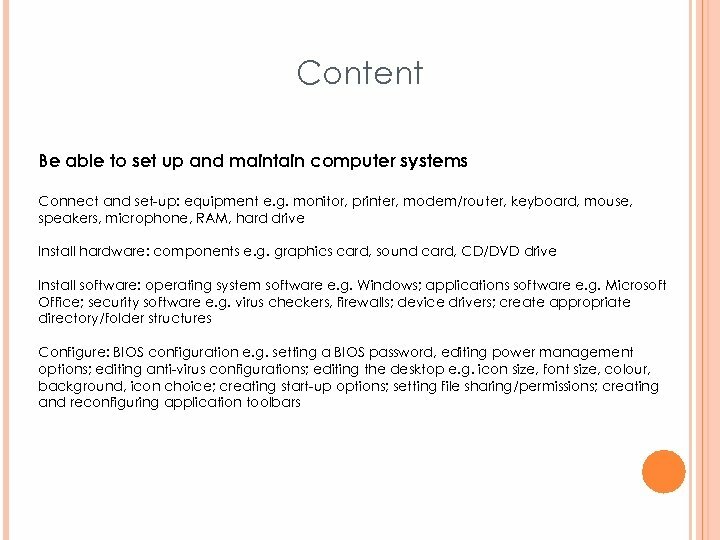 There are many different manufacturers of computer systems and each manufacturer produces a wide range of models with different specifications. Deciding which particular model is appropriate for a given situation depends on a variety of factors. 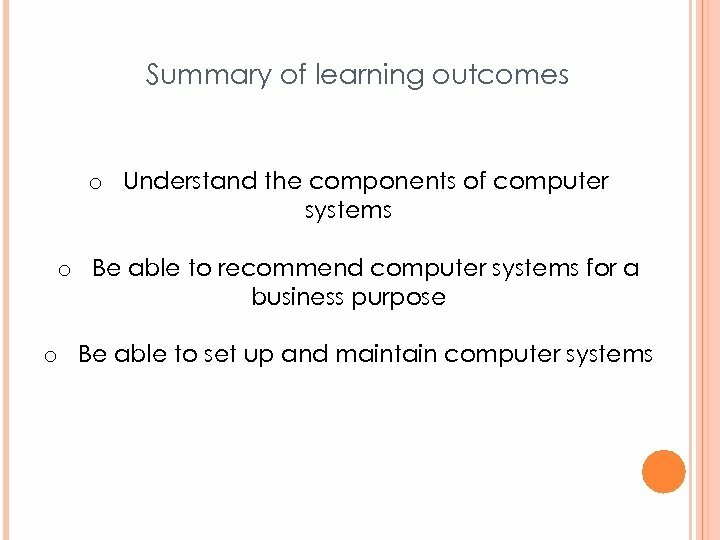 These factors are explored in this unit so that learners can make informed choices when recommending computer systems. IT professionals also need to develop the skills required to install and configure computer systems. 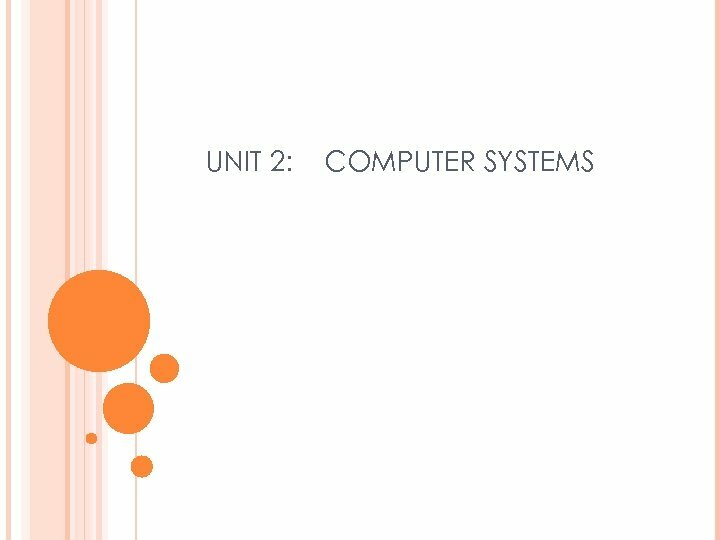 A large part of this unit will involve practical work in installing hardware components and software, configuring systems to meet specific requirements and testing to ensure a fully functioning system is produced.